I have always felt I’d be doing my flight students a disservice not to mention that while soaring aloft is an unmatched experience, it can and will snuff out a life in a moment if the pilot becomes too complacent … no matter how sophisticated the aircraft’s on-board equipment. We’ve been reminded of the seriousness of that warning again as the investigation into the crash of Air France 447 continues. A CNN story Friday highlighted some of the elements again, but also walked listeners through a few of the final words of the pilots in the cockpit two years ago, moments before the aircraft hit the water after a 4 1/2 fall from 36,000 ft. The words were part of a new book written by French journalist Jean-Pierre Otelli that includes yet unheard portions of the crew’s cockpit conversations. Granted, Otelli is known as a bit of an ambulance chaser, but the words we hear are what’s important, not necessarily his motivation is recording them. Having read the other transcripts, this one too seems to confirm that the crew was indeed overwhelmed by the cacophony of lights and aural alerts they must have been confronted with a very short time span. I was saddened just to listen, but also well aware that this could have been any of us in this situation and also, that there is much yet to learn from this watershed accident. David Robert – “Damn it. We’re going to crash. This can’t be true. What is certainly not clear is whether the crew simply experienced a failure of the Air France A330 training regime in explaining how to cope with a failure most experts believed could not happen, or a more complex issue. Was it, like the Colgan crash, also an example of pilot inexperience when that Perfect Storm arrived? Or, perhaps we’ve reached a point in the integration of technology with flying where the human brain is simply incapable of translating dozens of sometimes conflicting messages into the solutions for some rather basic flying problems. And if pilots are being overwhelmed is the case, what should we do next? Brazilian Midair: Were U.S. Pilots to Blame? This entry was posted on Sunday, October 16th, 2011 at 10:41 pm	and is filed under Air Traffic Control, Airlines, Aviation Marketing, Blogging, Flight Training, The Buzz. You can follow any responses to this entry through the RSS 2.0 feed. Both comments and pings are currently closed. These would not land the airplane, but could give the pilot that little step ahead of the problem needed to land safely. For starters, how about a system that doesn’t stop the stall warning when the nose is pointed up? Apparently, whenever David Robert put the nose up, the stall alarm stopped. When the nose dropped, the stall alarm would sound. This counter intuitive action of the stall alarm may have led him to believe that because there was incorrect info from several other instruments, that a stall wasn’t really occurring. The stall warning sounded over 50 times in the three and a half minutes and still the message to lower the nose did not get through. The confusion Eric, above refers to, was apparently because the engineers could not conceive a situation where the speed would be as low as it was after the pilots had pulled full back, and kept on pulling back, when the auto-pilot quit. I am afraid I would rather go down the route of programming an “ignore two stall warnings,” and the computer will push the stick forward for you come what may. How about a voice alert saying ‘Alternate Law! Alternate Law!’. 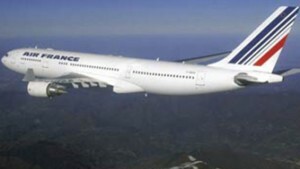 This airplane crashed because the pilots were holding the stick full back, which is correct in the Airbus unless, as happened, the computers revert to ‘alternate law’ mode. In this mode the AirBus has to be flown like an ordinary airplane, in which holding the stick full back is certain death. Is the A330 equipped with an Angle-of-Attack indicator? You lost me. How is holding the stick full back correct? And to your question Ryan. I’m told the A330 apparently has some version of an AOA, but that it’s not easily accessible … which to me is as good as not having one at all. I still believe that pitch and power equals performance … once they broke the stall of course, which they never did. Yep, nose down was needed to re-attach the airflow. Many people say this accident happened because of overload by automated systems and automation may be bad. I disagree; once they lost the pitots and reliable airspeed, the only choice they had was power + attitude. That true the same in a C172 and an A330. Of course this isn’t easy; after all, the Airbus design simply ties existing ADAHRS, flight directors and A/P together using the FBW computer. So it would need a radical design change to make this possible. But on the whole, every generation of airliner has been more automated and has had a better safety record than the previous generation. I say bring on more automation! Jim: according to the transcripts the pilots were aware they were in alternate law. If anyone wants to learn from history, read up on an incident in 1969, now described as “steep dive and recovery” but in reality “total loss of control at cruise level and recovery at below 10,000ft” which bent a Qantas Boeing 707, later rebuilt and sold. The aircraft was on route from Bangkok to Bahrain, I think. I met the crew on disembarking at BAH. The Captain said that following the loss of control he reverted to hand-flying with primary instruments and controls Tiger Moth principles for “recovery from unusual attitudes” (his words) which saved the day. Not a pilot but a risk manager. Please help me understand…is it not a big problem that pitot tubes often fail and trigger disengagement of autopilot? And isn’t it a problem that pilots are not always competent in flying sans autopilot? Why is there no tool for meAsuring angle of attack? Why are they not trained in handling a situation that is easily created? Why were they not trained in stall protocol? Why did the captain seem to know the deal but could not influence his team? What is wrong with the alarm system? If we set up a fire alarm that switched off during high temperature it might encourage us to put out a fire with gasoline instead of water….read that again…it’s the same situation that made these guys put in nose up commands! Jon: the question would be: why did they lose control in the first place in that incident. Remember that superior pilots are supposed to use their superior judgement to avoid getting into a situation where they have to use they superior flying skills! No bonus points for recovering from LoC when it was pilot error that led to it to begin with! Why did they continue to pull up? That is how they were trained to do so when recovering from low altitude stalls, 10-15 degrees up with TOGA thrust applied, and let the aircraft power it’s way out of the stall. Unfortunately, this recovery technique does not work at high altitudes where air is much thinner and engine thrust is much reduced. Everyone here has some good points about the pilot actions the AF 447 crew during the event. One thing I find striking is what they didn’t do, which for at least until they had a better understanding of the situation should have been…nothing. The autopilot disconnected, so yes, fly the plane. But absent any obvious danger, keep the pitch and power where they were at prior to the loss of IAS, or at least go to the power setting and pitch attitude recommended (85% power and 5 deg. nose up pitch for level flight. I think). The pilot flying keeps the plane in that condition while the pilot not flying sorts out what is and what isn�t. In this case they flying pilot almost immediately started horsing around the stick with no clear indication that he fully understood the recommended pitch/power procedures for loss of air data, or the extent of the instrument or system failure. It goes back to primary instrument training. What is one of the first things a pilot is taught about partial panel? REMAIN CALM! Back up each instrument with others in your scan to isolate the faulty instrument. Then use the power of the remaining ones to fly the plane. In the AF 447 case, it seems there is the factor of too much automation and separation of the pilot from the machine, true, but all instrument pilots should understand the basic functions of flight instruments and be able to recognize when they are malfunctioning. They should be able to remain calm and fly the plane on the remaining instruments according the all the basics we as pilots know about how the instruments work together. I�m sorry if I seem hard on the flight crew of AF447, but I can�t get past the notion that these guys were lacking in partial panel proficiency. Then again, most of the flying I do is without an autopilot and in less sophisticated equipment, so the increased likelihood of partial panel warrants greater time devoted to its practice. As a flight instructor who does almost nothing but flight reviews and instrument proficiency checks, I often see deficiencies in partial panel skills. Some clients make a point to study and practice partial panel once they are aware of the erosion in their skills, and some don�t. It is easy to see the difference when they come back for their next review. For the professional flight crew, it would seem like low hanging fruit on the tree of accident mitigation, but I wonder if this accident is so rare in commercial airline operations that additional training would not pass the cost/benefit analysis that the industry would certainly apply. I would be very interested in reading AF�s Partial Panel training requirements from before and after the investigation to see what, if any, changes were made in light of the accident. I think we need to start with Damon’s note here. An angle of attack indicator is really a no-brain item that is designed to inform the flying pilot of the well … angle of attack, which is independent of everything else. My understanding is that there is a form of AOA available on the A330, but that it is not readily available … although it may be now. That said, I recently sat through a recreation of what may well have led up to the AF 447 crash and while the problem itself may have been new to the young flying pilot, it was not insurmountable. Where things really got out of hand was when the pilots did not recognize the situation as one that might make the aircraft fall out of the sky and hence let the airplane go about its own way. Once the airplane became established in a very deep stall with little airflow over the tail, recovery became more and more difficult. With under-wing mounted engines, they should also have tried pulling the power back to idle to help get the nose down, but that was never tried. Gotta disagree with you Bob. I can’t believe any airline is teaching pilots to recover from a stall by adding full power and pitching up 10-15 degrees. Especially at high altitude, the difference between a cruise angle-of-attack and the angle it takes to make the wing stop flying is very small, much smaller than at sea level. If they could have simply kept the nose on the horizon when they added the power, they might well have flown out of this. But they seemed to have no idea where the horizon was. Pulling the stick back though in a stall. Can’t remember a time when anyone every trained me to try that. But let’s be serious too. Even if the crew had recognized what was happening late in the game, say 15,000 AGL, they still may not have been able to lower the nose, get the airplane flying and recover before they hit the water. If in doubt, pulling back on the stick in a fully functioning Airbus is not a bad idea; it is sure to get you away from the hard stuff as fast as it can and won’t stall, ever. But this wasn’t a fully functioning Airbus. There is no stall protection in alternate law. The crew acknowledged they were in alternate law, but did the implications of that really register? I doubt these poor guys had any idea what was happening to them. To my last day on earth though, I’ll never understand why no one seemed to be in charge of the cockpit all the way to the water. I hate to break the news to you, but those pilots received no training on high altitude stall recovery, only low altitude, which is 15 degrees up and TOGA power, let the aircraft climb out on it’s own power. This does not work at high altitude deep stalls. They probably did not realize the elevator auto-trim function was still active when in alternate law, which complicated matters. When pilot did nose-up inputs the FMS trimmed to that condition (nose-up). Which makes it harder than normal to lower the nose. And the stall warning system going silent when the stall became worse (below 60 knots). They simply did not know the system was designed to work like that, it became a vicious circle. They hear the alarm come on and then go off, they pay more attention to this audible alarm during the kaos than they do looking at spewing ecam messages and hard to find aoa indication, not to mention who is in control of the aircraft. The engineers who designed the system know this stuff, but unfortunately, the pilots do not know the system limitations. Why did the PF pull up? I read because he thought they were in overspeed condition, he mentioned hearing strange noises in the cockpit (according to the CVR) which most likely were ice crystals hitting the fuselage skin. The airspeed indicators were showing erroneous speed data, so his belief was to pull up the nose and bleed off some speed. Once you start descending at a constant rate, you lose all sense of falling, which is what happened here. It was dark outside, with lightning and heavy turbulence, and with all the faulty instruments… they simply did not believe the altimeter readings (showing descending 10K feet/minute) and made statements like “this is impossible”. All three pilots attended flight training at different times and different courses (different employment start dates). With that said, did all three pilots get it wrong? Or was the training all three received inadequate? Very interesting points you make Bob. Was all the training inadequate? Wow, that’s a tough one. You’re certainly right about high-altitude stalls. Even when you try it in the simulator it’s only a best guess. They don’t actually try deep stalls or anything even close during certification, so there’s no data to feed to the simulator. Why they didn’t realize what was happening? Like every accident, it was many things all coming together at the same time. Sure they thought they were in an overspeed, but there WERE other instruments around that could have told them something conflicting – even if they didn’t believe them – but the transcript says they had three different opinions right to the end. One was pull back, another push forward and a third said he had no idea what was happening. Can we pin that all on training though. Lord only knows, but it looks more and more like that … to me at least. Bob, would this particular airbus at any weight fly out of a stall at 15 degrees and TOGA power? It seems hard to believe! It also doesn’t make sense to me for that to be the standard. If you stall nose level with no power, it would take the engines quite a while to spool up. Putting the nose at 15 degrees (if at all possible when stalled) during that time seems like a bad idea. Excuse my ignorance, if any; I just fly little ones, but like to understand how the big ones work! How much training do crews get in recovering from this kind of thing in alternate and direct laws? “Can we pin all this on training?” NO! Can we pin some of this on training? Yes. But we should never design and build an airplane that lies to the pilot, as was the case here. Can we learn something that we never anticipated about our design solution? Perhaps–or perhaps the design team thought it was too unlikely to address. The history of flight test is overflowing with accidents that the engineers told us COULD NOT happen. The fact that a pilot could snap off the vertical stabilizer by being too agressive on the pedals is at the top of the list. I think you will find that the Airbus FCOM 15 degree recovery at low altitude is for loss of airspeed data after takeoff- not stall. The stall recovery calls for reducing the angle of attach by reducing pitch attitude. Angle of attack indicators are optional separate instruments, not integrated into the PFD display. Otherwise discerning the angle of attack requires querying the maintenance computer, which is not a pilot function. I have to agree with most to all of what Kris Gromada said. I also think the VS separated. One way to get out of a stall if unable to do so with pitch and elevator, is to roll the aircraft over and then use the rudder to nose down the aircraft. Alternate Laws, Pitch up for stall recovery!!!! No thanks, I think I will stick with Boeing. “Pitch up for stall recovery” ??? I think there’s been a misunderstanding here! By the way, the Boeing 777 and 787 fly-by-wire airplanes also have degraded flight control laws when certain failures happen. …and you can stall them, even when everything’s working. Angle of attack is not presented to the pilots in a330. Wat the PF missed was to manually retrim. However, in alternate law the autotrim is active and the pullup action trimmed the AC noseup.